DJI Mavic Pro or Phantom 4 Pro? What Drone Is The Best For You? DJI Mavic Pro vs Phantom 4 Pro: What Drone Is Better? One of the questions that I get most frequently asked are “Which of your drones you prefer: the Phantom 4 Pro or the Mavic Pro. So I figured I’d give you my little comparison between the DJI Phantom 4 Pro and the Mavic Pro. When comparing the Phantom 4 Pro and the Mavic Pro they’re split even as price and portability go to Mavic while camera and performance go to the Phantom 4 Pro. But in my eyes there is much more that has to be said about these categories. Let’s start off with price. This is a fairly easy section to break down as a lot of this information can be found on official website. I also wanted to put this first in this comparison post as this could ultimately decide which drone is best for you. Diving into the information that the Mavic Pro retails for 999 dollars while the Phantom 4 Pro retails for 1499 dollars. That is a 500 out of price difference. The Phantom 4 Pro also has a plus version that comes with a built-in screen and the HDMI module on the back. This costs an extra $300. The Mavic Pro also offers the fly more combo which pumps the price up to $1200. Roughly an extra 300 dollars. The combo kit comes with car charger, battery hub, two extra batteries, a shoulder bag, 4x propellers and a power bank battery adapter. 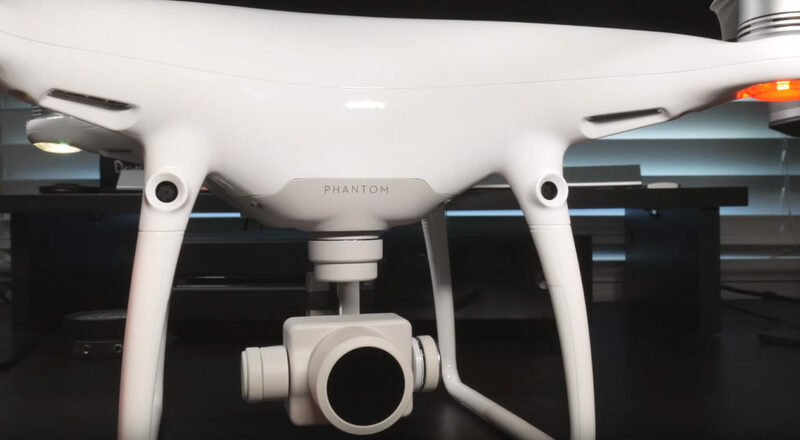 If you were to try to replicate this bundle with the Phantom 4 Pro you’d end up paying around two thousand and twenty one dollars! Regarding these prices something that you need to realize is that with the Phantom 4 Pro you really are getting a professional package hence the price tag. Even though the Mavic has “Pro” in its name it falls just short of being a professional-grade drone. I may tell you that right now the Phantom 4 Pro is probably the best consumer drone that you can buy but the quality that you get is basically professional next up is portability which is probably. Next in line to what everybody cares about besides price. Looking at both of these drones side-by-side you can get a good feel for just how much smaller the Mavic is. It’s not even the body that’s smaller it’s the controller as well that folds up to be so small so it can fit inside of your pocket. Just because the Mavic is known for portability doesn’t mean that the Phantom 4 Pro can’t be carted around easily. In terms of the size this is a small package that doesn’t weigh much at all. 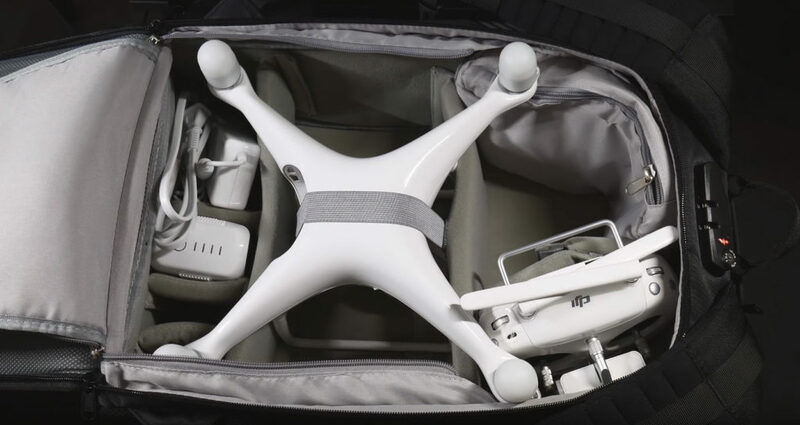 I think it comes in at around 3 pounds; using a backpack that is designed specifically for a Phantom series drone makes it easy to bring with you wherever you go. As for me, I use the Polar Pro that has ample room for my drone accessories, camera and even some other things like wires and battery packs. So yes the Mavic is a much more portable drone at heart that can be brought virtually anywhere. I mean, you can fit it inside of your regular backpack or even a glove box of your car but the point that I really wanted to drive home is that with the Phantom 4 Pro you also get a certain level of portability – it’s not like an Inspire series drone where you have to have an individual case for it. You can have an individual case with your Phantom but again it’s kind of in that in-between stage where it’s portable but also a little bit too big. I know it’s somewhat bias coming from me as I bought the Phantom 4 Pro, I’m all about my drone shots. But maybe if you’re someone who aspires to just take photography with your camera or videography with your camera then maybe the Mavic Pro will be a perfect sidekick. Next and most important to me is the camera. I just made a comment about the Inspire series and I swear if I could I would lug an Inspire to around with me wherever I went. That’s a little bit impractical, but on the real I do see a huge difference in quality between the Phantom 4 Pro and Mavic Pro. It honestly makes me never want to shoot with the Mavic Pro because I have the Phantom 4 Pro also. It’s going to kind of be like “oh, this footage looks good” but at the same time I wish it was shot with the Phantom 4 Pro. To set it faces let’s get some of the important specs out of the way. The Mavic is rocking a 1 by 2/3 inch sensor while the Phantom 4 Pro has a full 1 inch sensor giving us better low-light performance and a bump in effective megapixels. The Mavic Pro shooting with 12.35 megapixels while the Phantom 4 Pro shoots 20. Both of the cameras are capable of shooting RAW images which is a plus. One on the Phantom Pro you are able to capture pictures while simultaneously recording video – a feature that is important to some but not many. With that being said moving over to the video side of things. Both cameras are capable of shooting in 4k but with the Phantom 4 Pro we can shoot at a frame rate of up to 60 FPS while the Mavic is still stuck at 30fps just like most other cameras. I’ve got to say that watching 4k footage at 60fps is almost mesmerizing – I love it! When shooting at Full HD the maximum frame rate for the Mavic is 96 FPS while the Phantom 4 Pro is a full 120 fps giving us beautiful slow-motion shots. Another great thing about the Phantom 4 Pro is the adjustable aperture – this makes it easier to fine-tune your exposure level. Once you have this feature on a drone you’ll never want to go back. The final spec I want to highlight is bit rate. The Mavic’s maximum bit rate is 60 megabits per second while the Phantom 4 Pro is 100 megabits per second. It’s a no-brainer that the Phantom 4 Pro camera steals the show. On paper it’s better than the Mavic Pro camera but honestly sometimes you just need to watch the footage to see if it’s suitable for you. In general, the Phantom 4 Pro camera be stenographers camera any day of the week but honestly the Mavic Pro isn’t that far behind and coulb be used for real estate video presentations and photography as well. Although personally, whenever I’m out shooting cinematic footage or work for clients where if I go anywhere I’m bringing my Phantom 4 Pro pretty much 9 times out of 10. For our final category – performance. And this is a very broad topic but I’m going to focus on a few of the things that I look for in a drone and some of the things that you should be looking for in a drone when purchasing one. First is battery life. 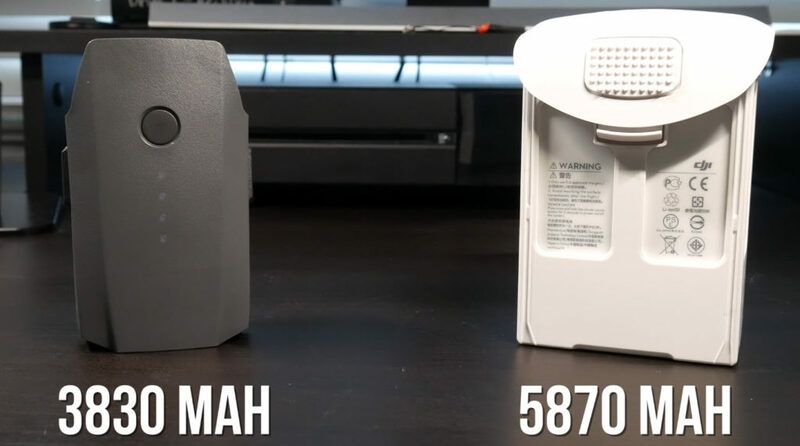 The Mavic Pro first intelligent flight battery is 3830 milliamp hours while the Phantom 4 Pro battery holds 5,870 milliamp hours. The advertised flight times are vastly different and it’s noticeable: when I’m out flying the Phantom 4 Pro I’m honestly shocked at how long I can stay in the air for. Out of instinct I’ll think I need to land when I actually have 40% battery left. The next performance specs that I like to look at is top speed. It’s not all about getting footage with me, sometimes I do like just flying around for fun. The Mavic Pro Pro’s top speed in sport mode is 40 miles per hour but I find it tough to reach at times. As far as the Phantom 4 Pro is concerned you can easily reach 45 miles per hour which again almost feels like an understatement. I’ve heard of some people achieving a top speed of near 70 with favourable high gusts of wind but I’ve only been able to reach the top speed of around 54 miles per hour. Aside from overall top speed the top speed in P mode with sensors activated varies as well due to the Phantom 4 Pro upgraded obstacle avoided sensors. We can squeeze out 31 miles per hour while the Mavic Pro top speed comes in at around 22 miles per hour in the standard mode. Although it doesn’t seem like that big difference it is very noticeable when flying. Another spectral gap for is maximum range but there’s no difference here as both are able to fly at seven kilometres which converts to 4.3 miles. Just a reminder that you must always have a visual line of sight when flying a drone. Anyway those are the three big specs that I like to analyse when comparing or even buying drones. There are some other features that are found on each term separately. The Phantom 4 Pro features five ways of obstacle avoidance with a pair on the front, pair on the back, IR sensors on the sides of the drone for use in specific flight modes and a pair on the bottom. The Mavic Pro only has forward and downward obstacle avoidance. The Mavic Pro features a brand new OcuSync transmission system meaning that you can use the DJI goggles wirelessly. You can also pair multiple remotes and goggles when you want to share the fun with your friends. The Phantom 4 Pro has a 2.4 and 5.8 gigahertz frequency band which gives you much more flexibility when you’re in an area that has a lot of interference from other devices like wireless routers. The Mavic Pro has a built in screen that shows important flight data. Some people may not realize how helpful this is until they’ve tried it. The Phantom 4 Pro remote controller will charge up your devices which is perfect considering a dead phone mid-flight is never a good thing. The Mavic Pro remote controller can be charged via a micro USB cable meaning if it ever dies while you’re on the go you can simply fill it up using a power bank. 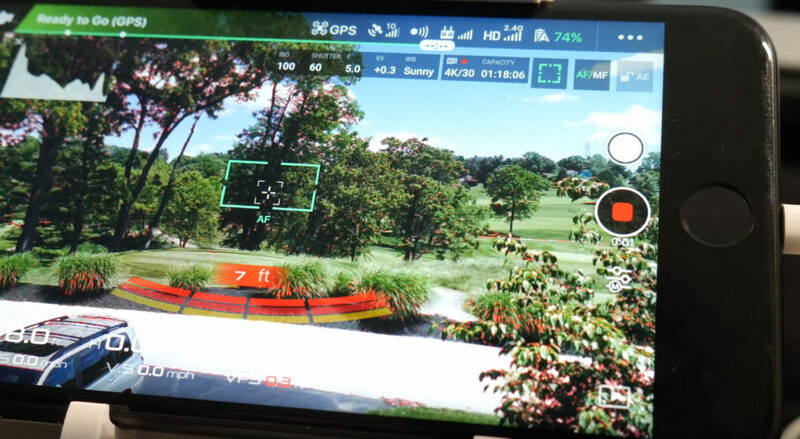 Also, the Mavic Pro is able to be controlled with a smartphone via Wi-Fi connection this is a direct replacement for the remote controller as your range is restricted and it’s a little bit weird having to use the touchscreen but it can come in handy when you’re in a pinch. I want to give you some of my thoughts and some of the things that I’ve encountered while using these drones over the past half a year. But before I want to tell you what might happen to you when flying. Some of the dumbest things ever that happened with my Mavic Pro is the next: I’m flying around and I’m recording some footage. When I hit record and I’m flying around everything is fine, but when I hit record again – basically to stop the recording – the camera disconnects from the drone and the top right corner where it shows your ISO value, your shutter speed value etc. shows N/A which means the data is not available. Then when I land it I turn it off and then I turn it back on – it magically works again. So it’s almost like the camera is coming disconnected from the drone and I can’t even adjust the gimbal tilt! So again, that’s really weird. Just like any first-generation product I definitely would expect it to have some bug’s here and there but not as many as I’ve been experiencing over the past six months of using my drone. Anyway, I hope DJI will fix this and other issues with their brand new Mavic 2 Pro & Zoom which are going to be release in fall of 2018. But those of you guys who got the first Mavic Pro Pro are probably feeling the pain of those first generation bugs. On the other hand with the Phantom series drone there’s like a whole different level of confidence when I’m flying that thing. I know it’s going to be rock-solid I know I’m going to get some great footage and I know it’s going to be able to perform the way that I wanted to. The short answer that I give to people who always ask “Mavic Pro or Phantom 4 Pro?” is: the Mavic Pro for Portability and Phantom 4 Pro for camera and that’s basically all that it comes down to. At the end of the day if you want portability go with the Mavic Pro but if you’re a real stickler for camera quality and performance go with the Phantom 4 Pro.